The Yamaha Stage Custom Birch drum shell pack offers you a modern kit with the characteristic brightness and crispness of birch, in a truly value-packed, stage-worthy package. 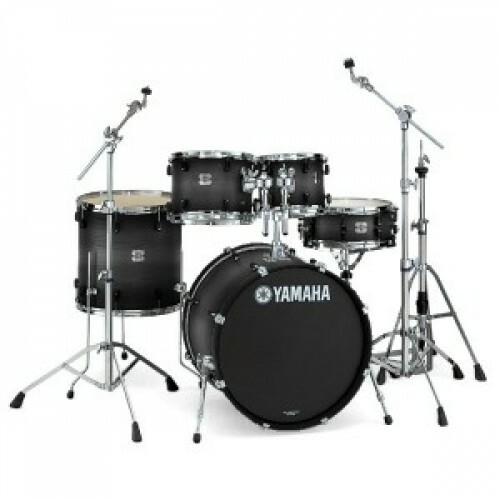 Ideal for everyone from the beginner to the working pro, this 5-piece kit is packed with top features, from premium staggered-diagonal shell seams to low-mass lugs to a beautiful high-gloss finish. Included in the Yamaha Stage Custom Birch pack are a 22" bass drum, 10"/12"/16" toms, and a 5.5"x14" snare drum. Take the stage with mythical birch tone - without breaking the bank - with Yamaha's Stage Custom Birch.